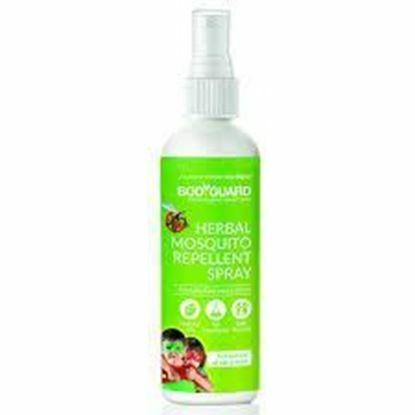 Information about Bodyguard Herbal Mosquito Repellent Spray Bodyguard Herbal Mosquito Repellent Spray contains Aloe Vera Extract an ingredient. It provides safe and effective protection against mosquitoes. Salient features of Bodyguard Herbal Mosquito Repellent Spray: - Contains natural ingredient only - No harmful chemicals - Suitable for all age groups including kids Direction for use: - Spray in the surrounding including ceiling, corners etc. or on clothes/ uncovered skin. 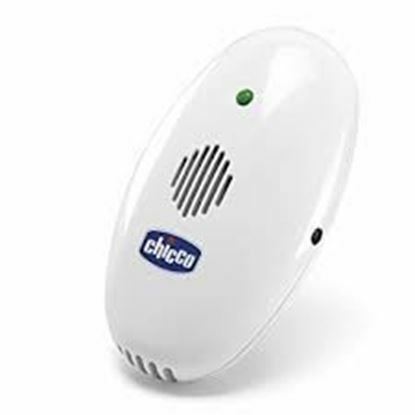 - To enhance the effectiveness just after the spray, close the room for 10 minutes and later open it and turn on the fan. Safety information: - Avoid contact with the face or exposed skin, in case of accidental contact if irritation persists visit a doctor. - Keep out of the reach and sight of children. 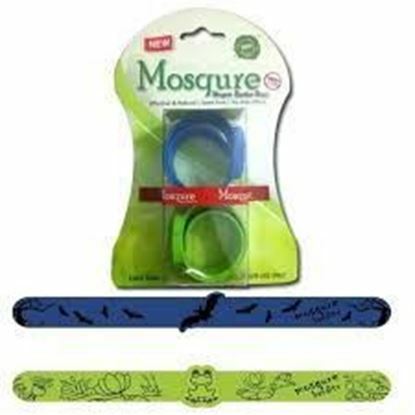 Information about Mosqure Mosquito Repellent Band Mosqure Mosquito Repellent Band contains high purity & high-quality citronella oil to repel mosquito naturally & effectively. Salient features of Mosqure Mosquito Repellent Band: It protects you from mosquito bites without harmful chemicals. DEET-free no harsh insecticides or pesticides & safe for the environment. Safe for the entire family. Provide protection from Dengue, Malaria & other harmful diseases. It is easy to carry anywhere during traveling, camping, golfing, jogging & any other outdoor activity. Direction for use: Slap the bands on the wrist and ankle. Puncture holes on the top special compartment of the band for the desired level of action. Note: Keep in a cool, dry place and away from direct sunlight. Bodyguard Natural Anti-Mosquito Patch contains Citronella Oil, Eucalyptus Oil, & Mint Oil as ingredients. It is a premium mosquito repellent patch safe for all groups, including children. 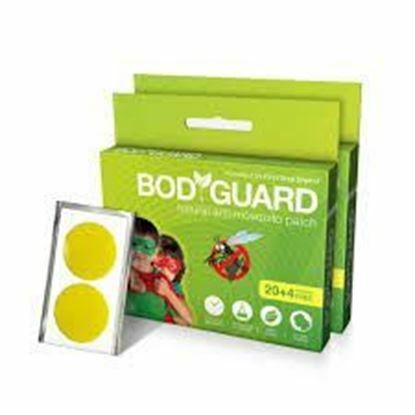 Salient features of Bodyguard Natural Anti-Mosquito Patch: - Contains no harmful chemicals. - Perfect for indoor & outdoor activities. - Effective for more than 12 hours. Direction for use/Dosage: - Pull out the patch from the strip. - Peel off the protective film from the patch. - Stick the patch on clothes and discard after use. Safety information: - In case of any irritation discontinue the use and visit a doctor. - Do not use on the skin. Odomos Mosquito Repellent Patch contains natural Citronella as a major ingredient. The patch provides full day protection from deadly mosquitoes which cause life-threatening diseases like Chikungunya, Malaria, and Dengue. 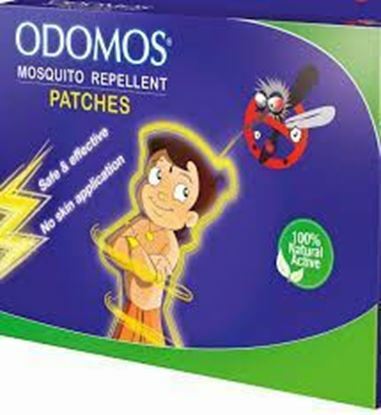 Key benefits/uses of Odomos Mosquito Repellent Patch: - Provide protection against mosquitos up to 12 hours. - Natural, safe and water resistant. - Appropriate for use in indoor and outdoor locations. Direction for use: Simply wear the patch on the clothes. Safety information: - Do not stick the patch on the skin. - Use the label/instruction manual carefully before use. - Keep out of the reach and sight of the children. 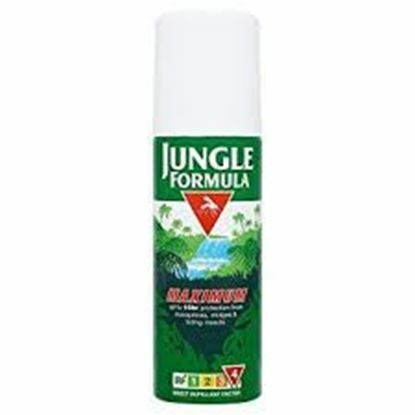 Jungle Formula Maximum Spray is a unique formulation with a proprietary blend of plant extracts with 50% DEET ((N, N-Diethyl-meta-toluamide)) for a long-lasting maximum protection. Key benefits of Jungle Formula Maximum Spray With IRF 4, which offers a 10-hour maximum protection for areas with a high risk of malaria and other insect transmitted diseases. Suitable for adults and children above 3 years. Direction for use: As directed by the healthcare professional. Safety information: Keep out of the reach and sight of children. Use under medical supervision.